Payroll outsourcing entails assigning the employee payment management process to a third party company that specializes payroll management. A business enjoys quality services at a reduced cost. A good payroll outsourcing company in Mumbai utilizes the latest technology to manage and execute payroll operations. It comprises a payroll executive, accounts manager, customer service team, and statutory compliance consultants. 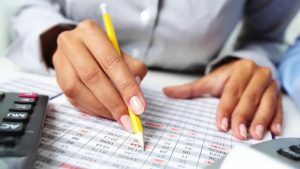 Payroll processing is a time-consuming task that requires a company to keep track of changes in government regulations and norms; an act that consumes time and energy that could have been utilized to generate more business and profits. This is why online payroll outsourcing comes in handy. Apart from handling tax obligations and payroll processing, ensure that the company you contract offers other services like multiple payment options such as; paper check, prepaid debit card, and direct deposit. The company should also offer other services like; paid-time-off management, garnishment payments, wage rates, detailed payroll reports, unemployment insurance and worker’s compensation administration. It is advisable to work with a payroll services provider with an established track record. A good company reputation gives you peace of mind knowing that it has the capability to deal with different payroll issues that may arise. When looking for a payroll outsourcing company, ensure that it offers dedicated support services. Request to have a devoted customer support representative who acts as your point of contact when you have a problem arises. This ensures that you enjoy a flawless work experience with the payroll services provider. Seek a payroll outsourcing service that your business can afford or whose charges are in line with your budget. This entails determining whether you will hire payroll services on a short-term or long-term basis. Long-term contracts attract a substantial cost discount. Based on your payroll requirement, you can customize the payroll services you intend to outsource in a bid to retain control of confidential business aspects. Commonly outsourced payroll processing services include; issuance of paychecks and depositing salaries, filling necessary government reports, administering employee benefits, calculating due state payroll taxes and making the payments as well as withholding pension and social security contributions. But, what are the steps followed by a payroll outsourcing company when executing these duties? The payroll outsourcing service provider will sync their payroll software with the relevant company and employee data like employees’ direct deposit accounts and payroll accounts. They obtain time card data at the end of each pay period to update data on their payroll software. They calculate the gross pay by determining the hours worked by each employee per pay period and incorporate new employee information. When making salary payments, the outsourcing service provider must process all pre-tax and post-tax deductions such as child support garnishment. After making necessary deductions, they deposit payments in employees’ direct deposit accounts, mail or deliver paychecks manually. They are also tasked with making payments to vendors like insurance companies and taxes on your behalf. At the end of each payroll period, the payroll outsourcing company must provide a detailed report highlighting all the executed payroll services. Payroll outsourcing is a critical business activity that requires a team of experts to eliminate inefficiency and improve performance. Hence, it is advisable to contract a professional payroll outsourcing service provider with a reliable payroll system that can managed different outsourcing requirements for start-ups and established companies.